Our entertainment setups are getting more and more complicated nowadays. You start with the TV as an essential, then can expand to include sound systems, DVD/Blu-Ray players, cable TV and other set-top boxes, gaming systems, and more. If you don't want to juggle remotes and lose half of them to the hungry couch, you need something like the Harmony remotes. They replace all your remotes with one and, today, you can grab one for a smidgen over $50. Harmony's Smart Control bundle comes with the All In One remote as well as the Hub and an extra IR extender for the latter. You teach it to replace all your remotes for various InfraRed electronics (TV, cable box, set-top box, etc) on the hub and then can either use the remote or the phone app to control them. You can also use the Harmony app on Google Assistant to issue voice commands. Direct integration with Assistant has been promised since May, but there's no sign of it yet. 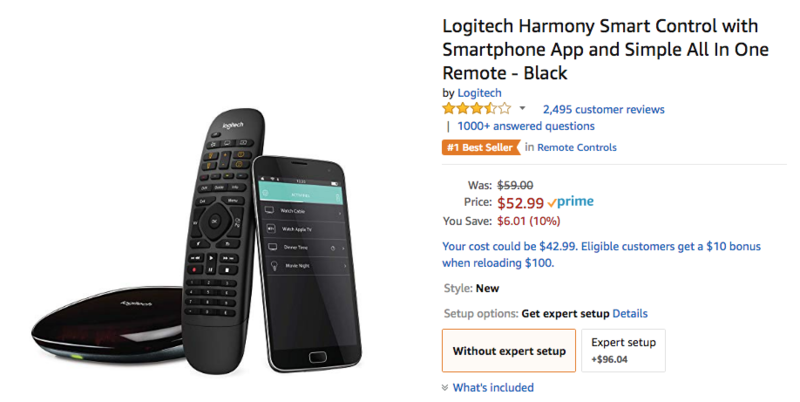 The Harmony Smart Control used to cost over $130, but its MSRP was very recently dropped to $59 on Amazon, close to the best deal we had seen on it. Now it's down to $52.99, not a huge discount on the new MSRP, but the lowest price so far and bordering on impulse-buy territory. If you're interested, you can grab yours from the link below.